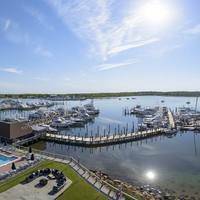 The Branford River is located seven miles southeast of New Haven, CT, and 52 miles northwest of Point Montauk (Long Island). 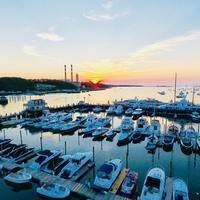 The Branford River is a popular stopover for cruising boaters due to the number of marinas in the area, its easy approach, and relatively protected nature. Inside the river there are many marinas, and about half of them accept transient guests at their slips. If you are in need of repair, three yards here provide haul-out service, and there are also three facilities with gas and diesel fuel. 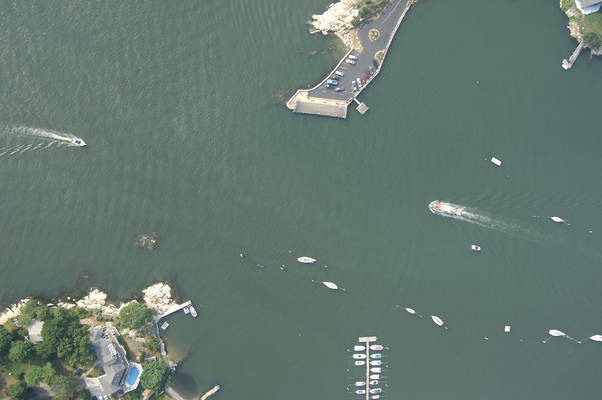 From the southern part of Branford Harbor, pick up flashing red buoy 2 at Blyn Rock. Once you have picked up flashing red buoy 2, set a course for red nun buoy 4 at Bird Rock, and then head toward flashing green 7 and red nun 6 at Big Mermaid and Little Mermaid, respectively. 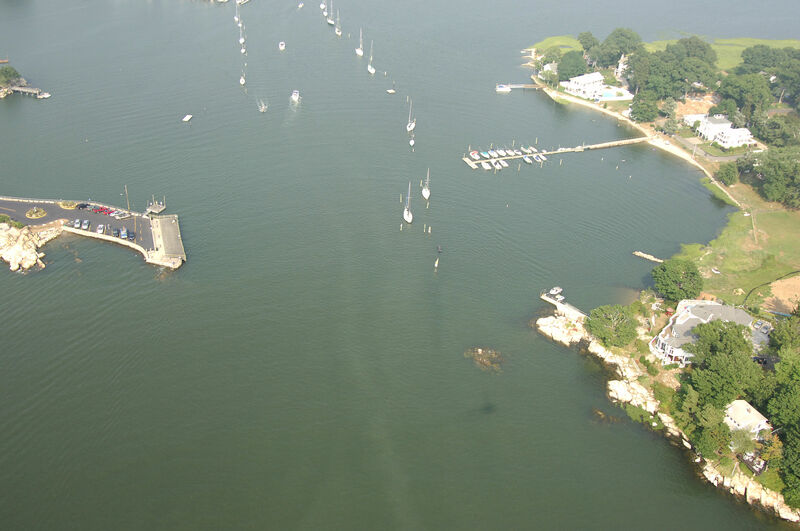 Once you have negotiated your way into the Branford River approach channel, chart a course to the northeast to intercept the mouth of the river at Branford Point (visible to the left in the image above). 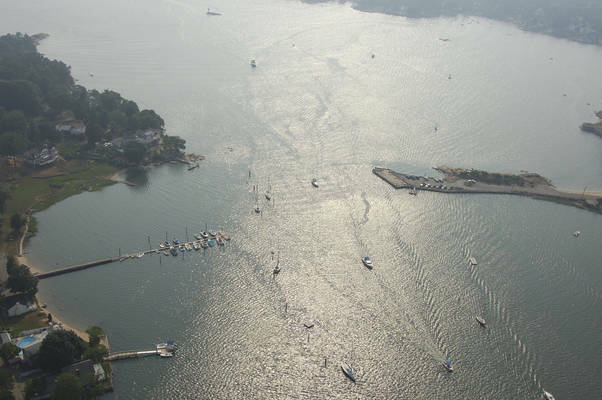 The entry channel reportedly has depths of seven feet throughout with a width of 100 feet. As there are many facilities here, you will seldom have a hard time finding a place to tie up for the night. When you first enter the river, there are three facilities immediately to port, and two of them accept transient guests and provide haul-outs and fuel. Farther up the river to starboard is the largest facility on the river, and as its size suggests, you can have most any type of service imaginable undertaken here. 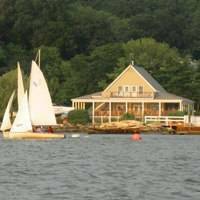 Even farther up the river in the town of Branford are three more marinas, but they only accept transient guests on a case-by-case basis. Be sure to call ahead first if you plan to try and stay in Branford-proper. Anchoring is challenging due to the narrow nature of the river, but there are some moorings available. No reviews yet! Be the first to write a review of Branford River Inlet.